Fr. Michael Anthony Swierz is a Youngstown native, reared in Poland, Ohio, attended Holy Family Catholic School, and graduated from Poland Seminary High School. He also received a BA in History from the Pontifical College Seminary Josephinum in Columbus, Ohio and a master in Divinity from St. Mary’s of the West in Cincinnati, Ohio. Ordained a priest by Bishop James W. Malone in 1985 at Holy Family Parish in Poland; Fr. Mike served St. Peters in Canton and was assigned to St. Rose in Girard until 1992. Fr. Swierz was then assigned by Bishop Malone to his home parish of Holy Family for the building of the new church, and remained there until 1998. Fr. Mike was then assigned to St. Christine’s Parish in Youngstown, where he also accepted to be the Chaplin to the Youngstown Fire Department. In 2000 Bishop Tobin asked Fr. Swierz to become the pastor of St. Joseph the Provider Church in Campbell. Soon after he also accepted the additional assignment to St. Elizabeth and St. John the Baptist Churches in Campbell. In 2012, Fr. Mike presented Bishop Murry with the idea of moving St. Joseph the Provider School out of the city of Campbell into Youngstown. This school would have the special mission of educating and ministering to the underserved children in the city. With that, Bishop George Murry S.J. assigned Fr. Mike as the President of St. Joseph the Provider School, now located on the St. Anthony of Padua Campus. Fr. Mike also assisted with liturgies at St. Anthony and our Lady of Mt. Carmel Basilica. In 2015, Bishop Murry asked Fr. 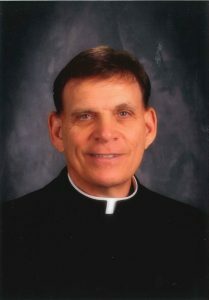 Mike to become the pastor of St. Patrick Parish in Hubbard where he remains today as Pastor and President of St. Joseph the Provider Catholic School.